Zachary Edward Snyder is a Green Bay, Wisconsin-born American film director, producer as well as a screenwriter. 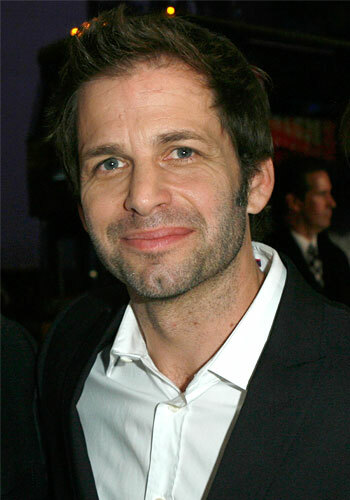 Zack Snyder was born on 1 March, 1966 into a Christian household, and is best known for his movies such as “300”, “Watchmen”, “Sucker Punch” and more; he has been active in the field of movies since 1990. A well-known name in the American movie industry, how rich is Zack Snyder as of 2015? At the present, Zack counts his net worth at the decent amount of $22 million. Obviously, most of his income is the result of his successful involvement in the movie industry as a director, producer and a screenwriter. His epic movie “300” has been one of the most successful projects of his and has earned millions of dollars for Zack. Zack was actually raised in Riverside, Connecticut, where he attended DayCroft School and then took up painting classes at Heatherley School of Fine Art in England. He had an inclination towards film-making since his school, and after completing high school, he began making short movies. Eventually, Zack started making commercials for many top companies, with some of his clients at the time being automobile companies like Nissan, BMW, Audi and others. He has also worked as a director and cinematographer for the commercials of companies like Nike, Gatorade as well as Reebok. As he became successful in the field of commercials, Zack went on to debut in Hollywood with the movie “Dawn Of The Dead” in 2004. This movie gained moderate success in the market, but Zack went on to find his fame as a filmmaker as her, released his next movie “300”. This epic became a hit globally and earned fame and reputation for Zack. Snyder became a highly regarded filmmaker after this movie, and needless to say, his net worth started to skyrocket at this point of his career. Later, Zack maintained his fame in Hollywood as he made more successful movies like “Man Of Steel”, “300: Rise Of An Empire”, “Watchmen”, “Suckerpunch” and more. Given his appreciated talent as a filmmaker, he has already bagged some contracts with Warner Bros, which has contracted him as the director of upcoming movies like “Batman Vs Superman: Dawn of Justice”, “Justice League Part One”, “Justice League Part Two” and several others. All of these projects have been adding a lot to Zack’s wealth over time. Apart from being a filmmaker, Zack is also a co-founder of the production company “Cruel and Unusual Films” which he and his wife Deborah established in 2004. The company produced the movie directed by Zack in 2010 entitled “Legend of the Guardians: The Owls of Ga’Hoole”. Obviously, the production house has also been helping Zack add millions to his riches over all these years. As of his personal life, Zack has married twice. His first marriage with Denise Snyder ended in divorce, and he has been married to Deborah Snyder since 2004. Zack is the father of six children, four from his first marriage and two from his relationship with Kirsten Elin. As of now, Zack enjoys his life being a successful filmmaker in Hollywood which is complemented by his present net worth of $22 million. 5 His movies often have stunning visual effects with frequent use of slow motion. 6 Films generally deal with the tragic nature of heroism. 7 Movies have very high body counts, sometimes accompanied with widespread metropolitan destruction (Watchmen, Man of Steel). '300' alone has an estimated body count of 585. 9 Often speeds-up and slows-down motion during action sequences (300 (2006), Watchmen (2009)). 10 Flamboyant visual style using a combination of dynamic compositions, highly-saturated color schemes and visual effects. 1 [on presenting his male protagonists with superhuman physiques] I have always been influenced by the fantasy art of Frank Frazetta and obsessed with the potential of humanity's physicality. 3 [For me] Superman is this adopted son, this immigrant story, this guy trying to find his place in the world. What's his purpose, what is he supposed to do, how is he supposed to be? 4 [on the Superman character] All the movies I've made, I've made with a slight bit of irony. Not even a slight bit. A fair amount. But the ironic part of [ 'Man of Steel'] is that it's not ironic. You know what I mean? No tongue in cheek, no winking at the camera, no apologies. It's Superman. He deserves that. In my mind, we really had to act as if no films had been made. It's like we just found this comic book lying on the ground under a bed, and we were like, This would be a cool movie. 5 [on Man of Steel (2013)] I think it's drawing on all mythology; comic book, religion, ancient, philosophical. 6 It's difficult to find a movie that feels true to itself. You feel the hand of Hollywood, the moviemaking by committee, on everything. 1 Has eight children. Four from his marriage to Denise Weber, Two from his relationship with Kirsten Elin and two that he adopted with his current wife Deborah. 2 Most of his films are released in March. 3 Widely considered to be one of the most polarizing directors of his generation. 4 In an interview with IGN, he named Star Wars (1977), A Clockwork Orange (1971) and Robocop (1987) as three of his favorite movies. 5 He was considered to direct Green Lantern (2011). 6 Was considered to direct X-Men: The Last Stand (2006). 7 In 2001 Zack meet Joshua Henry Jones and became good friends. 8 He is a very big fan of the Superman series Smallville (2001) and has included references to it in his Superman film Man of Steel (2013). 9 Was 37 years old when he directed his first feature length film. 10 He has two children with line producer Kirsten Elin. 11 Dubbed "The Wizard" by journalist/filmmaker Chad Clinton Freeman. 12 Was interested in directing X-Men Origins: Wolverine (2009) but later turned it down, because he was too busy working on Watchmen (2009). 13 2007 - Ranked #25 on EW's The 50 Smartest People in Hollywood. 14 Directed a commercial for Subaru WRX. He used it in his debut, Dawn of the Dead (2004), as the commercial before the "Special Report" on TV. 15 Studied visual art at Heatherlys School of Fine Art in Chelsea, London. 16 Attended Art Center College of Design at Pasadena, California. 17 Turned down a chance to direct S.W.A.T. (2003) because it wouldn't be rated R.
Morrissey: ¡Oye Esteban! 2000 Video video "Tomorrow"